It seems like new craft breweries are opening up every week, popping up in storefronts, strip malls and even industrial areas. 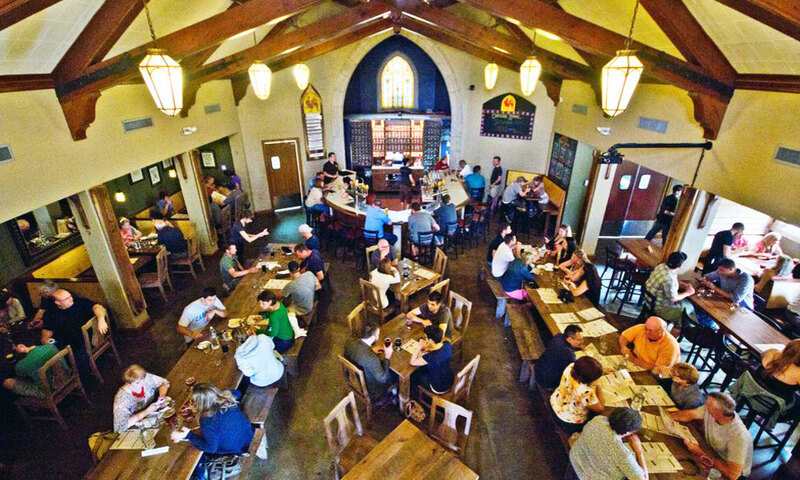 From shuttered funeral homes and long-closed monasteries, brewers are finding homes that not only promote tradition but in many cases drive the renovation and revitalization of old neighborhoods and abandoned buildings. The following are a few examples of places where breweries have taken the old and made them, well, brew. Argus Brewery set up shop in the Pullman community of south Chicago. When built in the 1880s, Pullman was one of the nation’s first planned industrial communities. It was home to the Pullman Palace Car Company workers who manufactured luxurious railway cars. Considered a utopian community, it had some strict rules for its inhabitants. For instance, it was illegal to drink beer out of the bucket on the sidewalks. 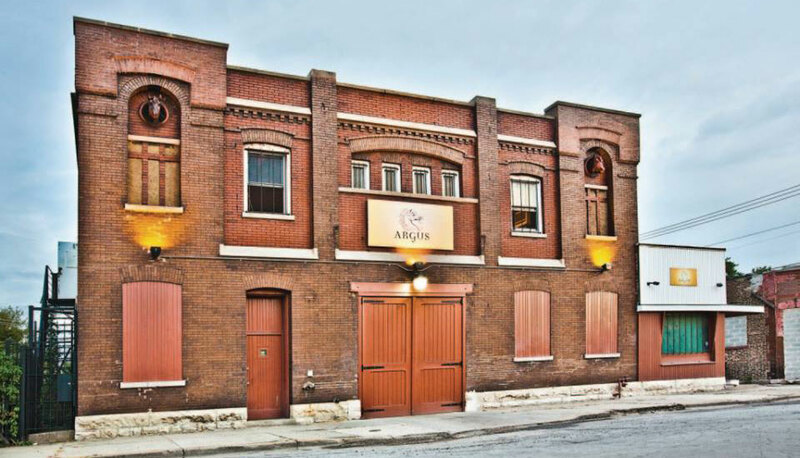 The Argus Brewery is in the former Joseph E. Schlitz Distribution Stables, where beer was distributed by horse-drawn wagons and sold in lard-lined buckets. The lard sealed the bucket, insulated the beer and kept the foam down. According to brewery historian Nick Lebovich, Argus owners originally thought it was a Chicago firehouse because of the two terra cotta horse heads adorning the front of the building. It wasn’t until the owners decided to build a brewery did they discover its brewery-related past. Argus is a production and distribution brewery not open to the public except for tours on Saturdays. Bank Brewing occupies not only one but two historic 100-year-old buildings in this rural Minnesota town. The taproom is in an old bank building that closed in the 1930s. The site had also been both a cafe and a hunting lodge before being purchased by Jason Markkula, who had visited the lodge on a hunting trip. Markkula added the craft beer taproom and, in 2014, he purchased the old Farmer’s Creamery on the opposite corner of the block and built a brewery. He makes an annual 14-hour trip to Ripley, Wyoming, to pick up used whiskey barrels from Wyoming Whiskey Co. for barrel aging the Recession Series: Bankruptcy, Foreclosure, Default and Overdraft. Brewer Richard Drawdy has brought a new lineup of beers to the brewery, including Black IPA, Berliner Weisse and Pale Wheat. Starting out as the American Velvet Mill in 1888 and repurposed as an artisan community in the 1990s, this old building had the utilities and space to become a brewery. The building’s naturally soft water is augmented to be perfect for any beer style they want to brew. What do they brew? “We like to brew the beer we like to drink,” Aaren says. Beer’d Brewing Co. started in 2012, and all 100 barrels brewed are sold directly across the bar in its tasting room. 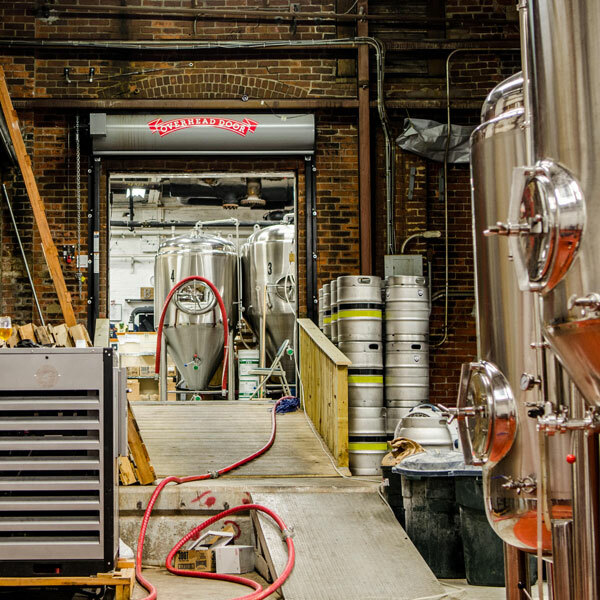 The Breaker Brewing Company first began brewing and selling commercially in 2009 and quickly outgrew its space and three-barrel brewing system. In 2011, owners Chris Miller and Mark Lehman purchased the former St. Joseph’s Monastery and School, which also included a convent where the nuns who taught in the school resided. In April 2013, BBC opened the doors of the old schoolhouse with a tap and tasting room for growler fills. About a year later they got their brewpub license for pint and food sales. 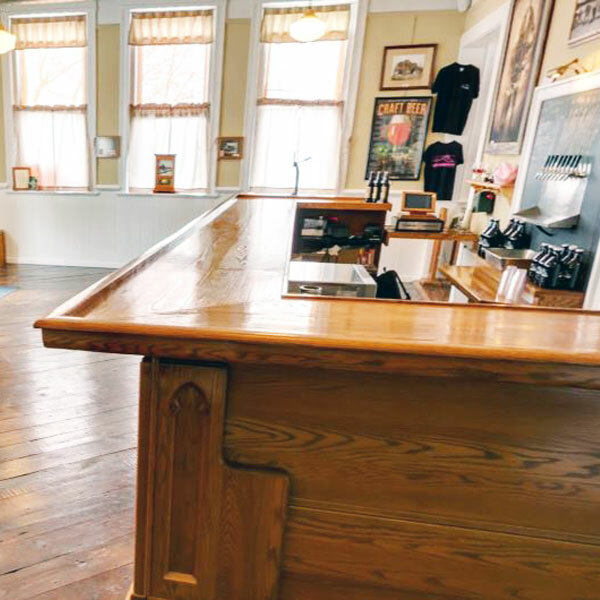 The name of the brewery pays homage to the coal mining past of the area and the building is filled with a collection of coal mining photos and memorabilia. “The customers come and don’t want to leave,” according to baker June Miller, who also happens to be Chris’s mother. And, speaking of baking, the popular Lunch Pale Ale is used in all the fresh-made bread and pretzels. BBC is currently renovating the church to make room for a 10 barrel brew house. Historic preservation guidelines dictate that the building has to retain its original look, so it’s fortunate that the facade extends above the roofline, hiding the modern solar panels. Brewery Vivant is devoted to the tradition and artistic approach of the Belgian & French Farmhouse styles of brews, and the pub is reminiscent of an Old World monastery where monks made Belgian beer. 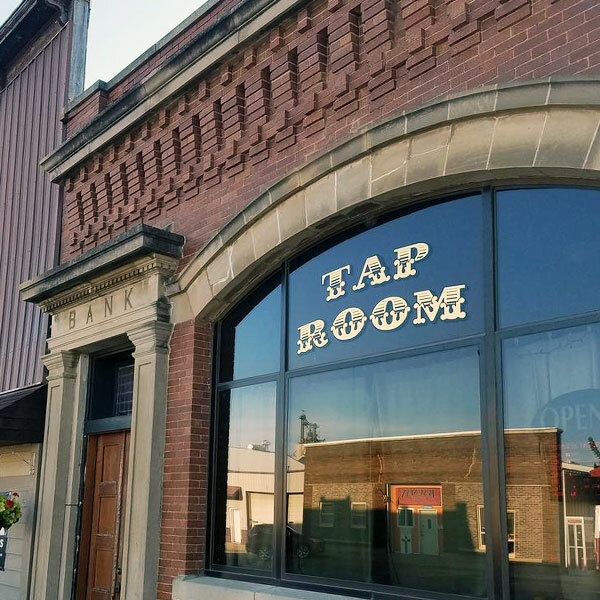 The taproom and restaurant are where the funeral home’s chapel was, and the brewery is in the area where the home kept the horse-drawn hearses. The original wood beams and light fixtures were restored and provide the European ambiance the customers enjoy. 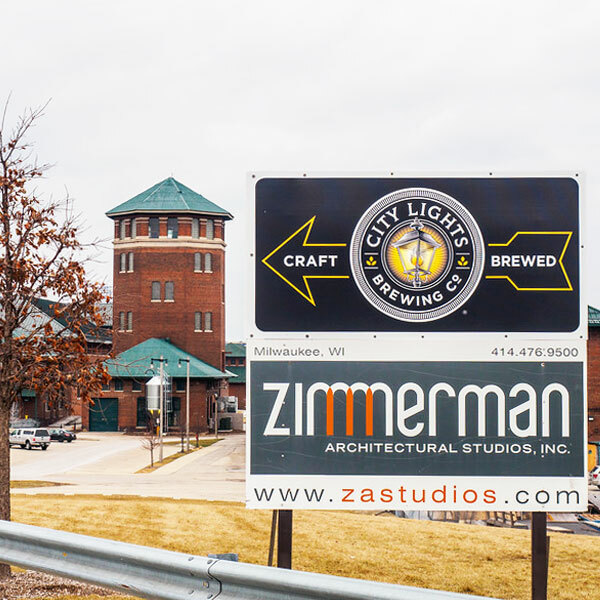 The newest brewery of the bunch, City Lights opened its doors in February 2017. And its unique features make it a perfect addition to this list. The brewery’s building was constructed in 1902 as the Milwaukee Gas Light Company Coal Gasification Plant. The interior walls are adorned with glazed brick from the Tiffany Glass Co., and there is a 20-ton industrial overhead crane in the building manufactured in 1899. The crane still works and was used to set some of the brewery equipment. Customers in the tasting room have a clear view of the production floor and can watch the beer being brewed. City Lights has a prime location on the Menomonee River, and a dock is planned for boat access from the river and Lake Michigan. The building is five minutes from the Miller Park stadium and will provide shuttle service to Brewers’ games. Brewer and co-founder, Jimmy Gohsman says, “We didn’t just build a brewery, we built a community.” His philosophy is balance, quality, consistency and just strange enough. 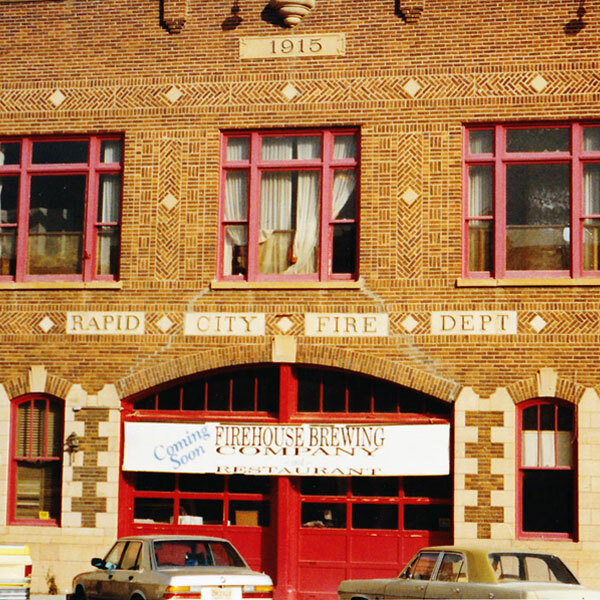 Known around Rapid City as the Firehouse, this building is a one-of-a-kind landmark and is listed on the National Historic Register. The city’s fire department was formally organized in 1907, and this fire hall was built in 1915. The fire trucks were housed downstairs, and the firefighters slid down a smooth brass pole when a call came in. Firehouse Brewing opened in 1991 as South Dakota’s first brewpub and still has the iconic fire pole. The bar features authentic firefighting memorabilia from the days of the first fire brigades. The brewery has three floors and the brewhouse is all gravity fed — there is no elevator, only a dumbwaiter. Brewers have to carry 50-pound bags of grain up two floors to the mill. Brewer Mike Gilroy truly believes “more is better” as Firehouse brews a wide variety of styles. This building was built in the early 1900s and was used as a city jail, fire station and municipal works building. “We weren’t aware of its history when we bought the building,” says co-owner, Glenn Golden. “We were happy to learn of its past and immediately connected it to our brand. I loved the building’s curb appeal and the idea of making it into a brewery. I guess it was fate that it was an old jail,” he says. 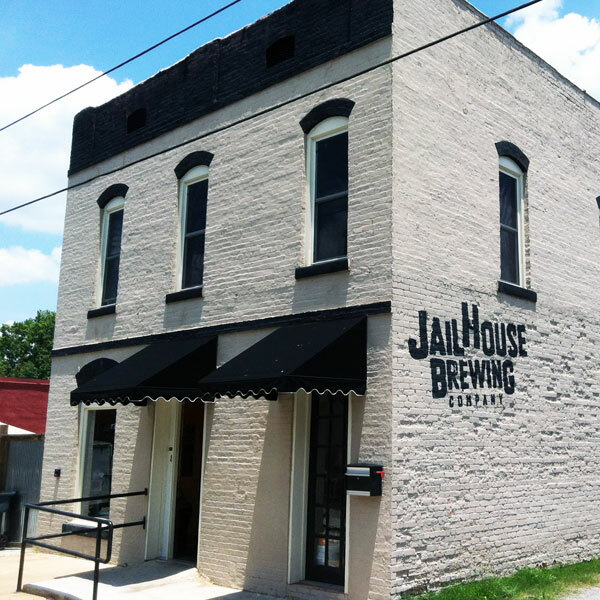 Jailhouse Brewing Co. claims there is a ghost, Old John, living in the building. A friendly spirit, he may have spent a night or two in the jail for public drinking. Once one of the first station stops in Albuquerque for westbound travelers on the legendary Route 66, the Jones Motor Company Ford dealership and Texaco gas station was built in 1939. Now it’s a destination brewery with one of the largest patios in town and seating for 800. Kellys was originally next door and began life as a brew-on-premise and continues the offering for amateur brewers. When it came time to expand the brewery, the old gas station, designated as a historic building in 1993, became available. Because of the designation, Kellys was prohibited from changing the facade of the building and had to keep the mid-century modern style. The original Texaco sign was converted into the logo for the brewery, which sports relics from old gas pumps to historic images and signage. Brewer Dan Cavin says Kellys’ brewing philosophy is “Keep It Simple Stupid.” The brewery’s most popular beer is the House IPA. 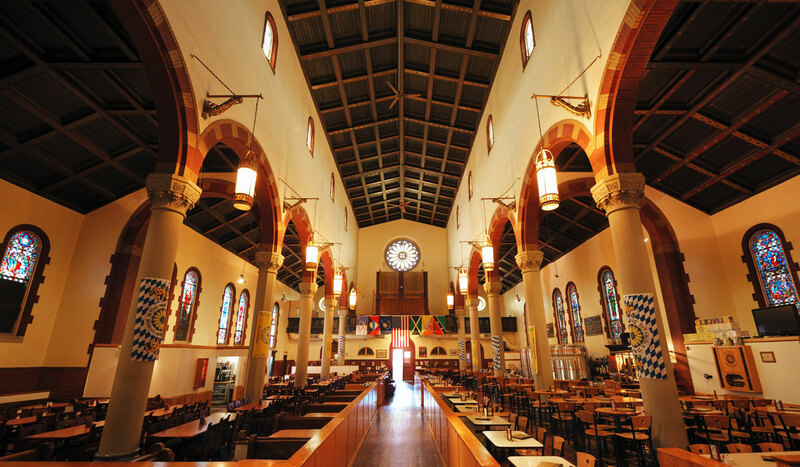 This beautiful brewery began life in 1902 as St. John the Baptist Catholic Church. 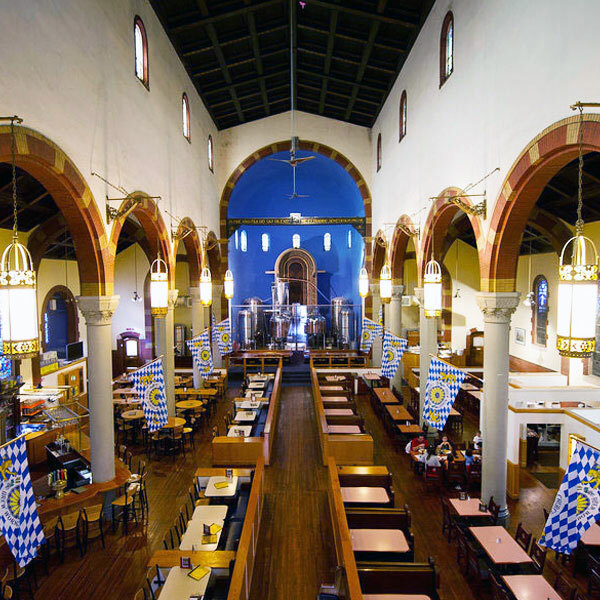 In 1993, the bishop of Pittsburgh closed the church, and the cathedral sat unoccupied until 1996 when work began on the brewery. Church Brew Works owner Sean Casey was looking for an extraordinary venue for his brewery and he certainly found it here. This heavenly space showcases the original hand painted ceiling mural and stained glass windows, each sponsored by a local family at the time and still bear the family names. The benches are made from the original church pews. The brew house, with its gleaming steel and copper tanks, makes a breathtaking sight with the celestial blue backdrop of the altar where it sits. Church’s most popular brew is the GABF award-winning Pious Monk Dunkel, a rich, ruby-red Munich lager. Wedge Studios was once a railroad warehouse and stockyard. The 100-year-old three-story triangular building was purchased by artist John Payne, renowned for his animatronic Kinetosaurs. Payne turned it into studios for local artists. Today it houses more than 20 studios and anchors the Asheville’s River Arts District. 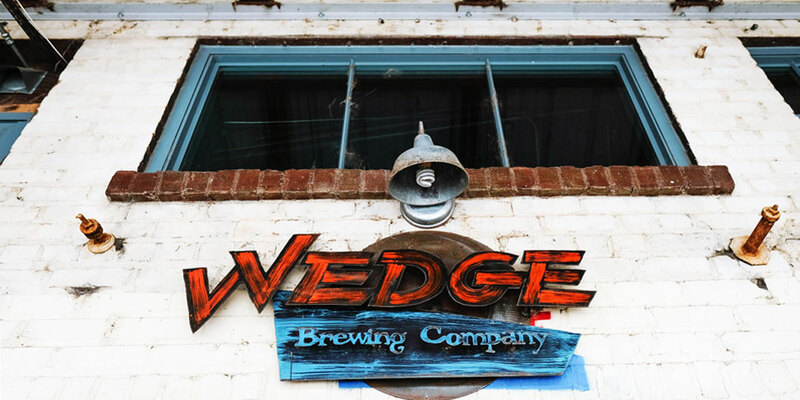 With the growth of the arts district, Wedge Brewing has opened a second location about a mile away in a historic leather tannery built in 1898. The brewery uses both a 10 barrel and a seven-barrel system to brew a variety of styles and many experimental beers and ciders. The brewery’s philosophy of “each beer given the time it needs” is exemplified by the more than 60 days of lagering for their pilsener. This magnificent granite and limestone building with marble floors was constructed as a U.S. post office in 1909. The government closed the building in 1967 and it remained vacant for 30 years. 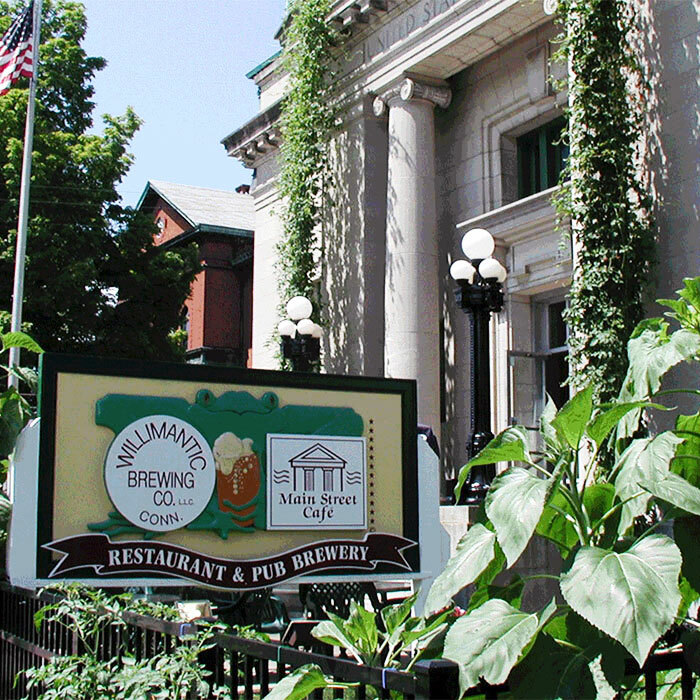 Then, in 1997, Main Street Cafe and Craft Beer Bar moved in and Willibrew, as the locals affectionately call Willimantic Brewing, was delivered. Willibrew is the first and, so far, only brewpub in town and is the second oldest in Connecticut. It provided an introduction to craft beer in the area and now boasts more than 40 taps with 10 dedicated to house brews and a wide assortment of experimental brews and guest taps. As with many breweries in old buildings, Willibrew sparked a revitalization of the old downtown area. Brewer David Wollner says his current trend is to scale back some of the more high ABV beers to make them more sessionable, and the new beers are getting more attention than the past award winners. 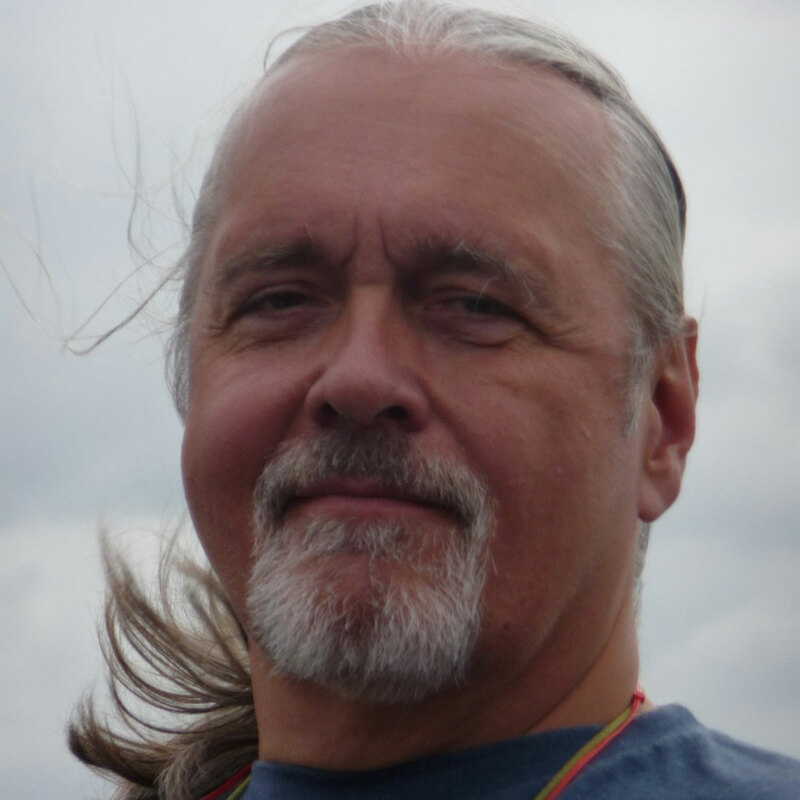 Robert Archibald, of Colorado Springs, Colorado, is a freelance journalist and has been homebrewing for over 20 years. Besides beer and brewing, his passions include gardening and travel. He worked at a craft brewery for several years where they used his homebrew recipe for their Christmas Ale. Follow 100 Bottles of Beer, his homebrew blog, at Colorado Home Brew Guru.